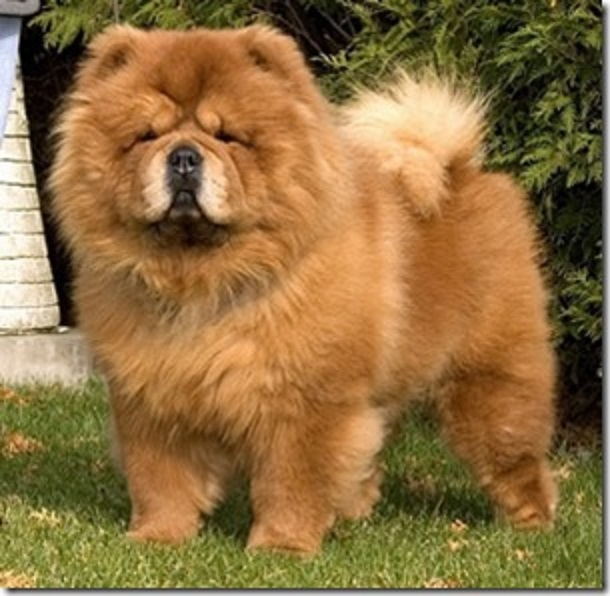 The Chow is a unique breed of dog thought to be one of the oldest recognizable breeds. Research indicates it is one of the first primitive breeds to evolve from the wolf. DNA analysis suggests that Chow is one of the ancient dog breeds that probably originated in the high steppe regions of Siberia or Mongolia, and much later used as temple guards in China, Mongolia and Tibet. A bas-relief from 150 BC (during the Han Dynasty) includes a hunting dog similar in appearance to the Chow. Later Chow Chows were bred as a general-purpose working dog for herding, hunting, pulling, and guarding. From what records survive, some historians believe that the Chow was the dog described as accompanying the Mongolian armies as they invaded southward into China as well as west into Europe and southwest into the Middle East in the 13th century AD. Research indicates it is one of the first primitive breeds to evolve from the gray wolf, and is thought by many to have originated in the arid steppes of northern China and Mongolia, although other theorists conjecture that its origin is in Siberian regions of Asia. Chinese legends mention large war dogs from central Asia that resembled black-tongued lions. One Chinese ruler was said to own 5,000 Chows. The Chinese also used Chows to pull dog sleds, and this was remarked upon by Marco Polo. A legend says that the original teddy bears were modeled after Queen Victoria's Chow Chow puppy. It is said that she carried the dog everywhere she went. Her friends disapproved, claiming that it did not befit a queen to be seen everywhere with a dog, so they paid a dressmaker to make a stuffed version of the animal for her.